I read it somewhere in some army library,i have tried searching it online but without success. I have a question. Does anyone here knows the current status of Al-Khalid 2 and it's capabilities??? Never happened! IA has never dropped commandos for tactical missions against Pakistani Artillery etc. There was however an attack (which was repulsed) by the IA infantry on the guns of an artillery regiment (26 Field maybe) at Leepa sector. can the G-3 use the AK-47 anmonition?.. 1.I have also a other question, how effective were the PAK Artillary in Kargil 1999? 2.I have also read that Pakistan use most the TYPE 59 130MM TOWED GUN, in this Oparation. How effective was it in the war against the Indian Army ( they have the modern Bofors)? 3. Did we produce this gun under licens? end when yes, how long we did or when Pak start the production? 4. Did Pakistan produce other Chinese Artillary? I know many question sory, but I hope someone can answer !!!!! cna the G-3 use the AK-47 anmonition?.. Funny you mention AKs, they were showing a video from the US defense Dept. on CNN of a battle going on in Iraq and the soldiers were using AKs instead of their standard issued rifles. I have to say that gun is legendary awesome fire power., use that gun with armour piercing rounds and you can effectively take out any soldier on foot. i remember during the conflict how an old PA howitzer managed to take out an indian ammo dump causing millions of dollars worth of damage as well as taking out quite a few indians obviously. not sure overall but if i remember correctly we had anti-artillery radars so were able to zero in on indian artillery positions and take them out which resulted in the indians realising that it wasn't half bad to own a few anti-artillery radars itself (they eventually brought the latest version of our radar from the US). not sure about the rest of the qns you asked. The weapon locating radar we have is AN/TPQ-37. AN/TPQ-37 Firefinder is a mobile radar system manufactured by Hughes Aircraft (later acquired by Raytheon). The system is a long range version of "weapon-locating radar", designed to detect and track incoming artillery and rocket fire to determine the point of origin for counterbattery fire. It is currently in service at brigade and higher levels in the United States Army and by other countries. The radar is trailer mounted and towed by a 2 1/2 ton truck. A typical AN/TPQ-37 system consists of the Antenna-Transceiver Group, Command Shelter and 60KW Generator. The AN/TPQ-37 is an electronically-steered radar, meaning the radar does not actually move while in operation. The radar scans a 90-degree sector for incoming rocket, artillery and mortar fire. Upon detecting a possible incoming round, the system verifies the contact before initiating a track sequence, continuing to search for new targets. The incoming round/rocket is tracked during its initial upward/launch trajectory (i.e., the linear portion of its flight path) prior to reaching apogee. A computer program analyzes the track data and then extrapolates the round's point of origin. This calculated point of origin is then reported to the operator with map coordinates, thus allowing friendly artillery to direct counterbattery fire towards the enemy artillery. The system has a reported range of up to 50 kilometers. The system may also be operated in a friendly fire mode to determine the accuracy of counterbattery return fire. "Q" for a special-purpose radar, in this case counterbattery. With regards to accuracy of our artillery, we had the AN/TPQ-37 weapon locating radar, which increased the accuracy of our artillery during the kargil conflict. As far as i know, Pakistan is not yet producing artillery guns of 105 mm or more; just their amunition and spare barrels which are replaced after the life of a barrel expires. That is a Chinese made artillery piece, not Pakistani. Pakistan just bought the 130 mm guns from China. The 130 mm guns were a huge success during the Vietnam war: Vietcong would hit American patrols with these guns. Fast reloading time, easy to operate, and deadly accuracy was pretty much key. The 130's used to be a Soviet design until the Chinese copied it. A lot of the guns stationed at Siachen are also 130's. I am in favor of replacing the 130's with 155's though since the 130's are pretty old. No, Al Khalid II is still under production. It may come out either the end of this year and be shown at IDEAS 2007 or next year. Thanks for the answer brother... can we not upgrade the 130mm Artillary wih Gps or o ( I mena modern equipment)...???????????? Production for Al-Khalid & Al-Zarrar? How many can we make in one Year? If I am correct we have around 300+ Al-Zarrar and 200+ Al-Khalid in Service, Can someone confirm the #? what is the Status of Pakistani Army in Jungle warfare, there are no jungles ( tropical/equatorial ) in Pakistan ofcourse but it would be great if the soldiers trained in this difficult field of warfare. Production for the Al-Khlaid varies depending on project timelines and what the Army requirement is. It stand around 85 a year this is calculated by the start of production in the year 2000 and what the army has now in terms of numbers of Al-Khalid’s which is 650 tanks in service. As for the Al Zarrar we have the same figure of around 600. Bear in mind the Al-Khalid will probably receive an upgrade and you will have a tank similar to the Type 99 that is operated by China. Either way the numbers of Al-Khalids will be cranked up to go well above the present figure to give us an armoured edge. Pakistan has excellent relations with Indonesia etc to whom we do send training delegations to. As you know Indonesia is amongst the nations with highest amount of rain forest coverage in the world. Forget training Pakistani forces are actively engaged in combat in some of the intimidating jungles in the world for example in Congo where we have the largest contingent! I’m currently in the process of obtaining from the BBC footage that shows Pakistani troops raiding jungle bases of savage militia fighters and blowing them to hell! I saw the footage late night on a program detailing UN work in Congo. Pakistan’s troops are amongst the best in the world. if u can get that footage that'd be great. is it available on their website? Bro it is not on their website but I'm writing to them to request the episode. It shows a great deal of action which surprised me. It shows Pakistani infantry surrounding the jungle camp in complete darkness to keep the element of surprise, night vision is then used to scope out the strong points and areas of attack. After a brief pause with the troops in position signalling flares are fired that start off the assault and also light up the entire camp. There is mass of heavy machine gun fire and 81mm mortars being fired right into the camp. After prolonged fire The M-113 tracked vehicles move forward along with our troops to close in the net but there seems to be little if anything left. The morning sun rises and all you see is the bodies of these militia fighters littering the ground, we didn’t take a single casualty. Man I was jumping up for joy and screaming when I saw this as it is not often you get to see our guys in action abroad. The assault was led by this super cool general who reminded me of Marlon Brando in Apocalypse Now with his crazy gung ho style. 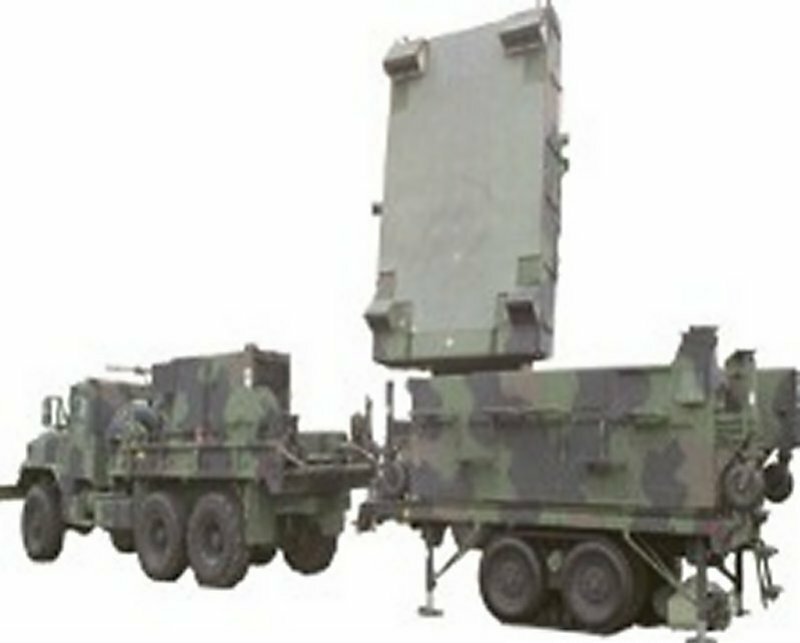 1)Can anyone confirm purchase of FT-2000/HQ-9, LY-60 (land base), KS-1A Long-Range SAMs or any of these SAM system from China? According to some people Pakistan purchase unidetified number or KS-1A with techonlogy and phase array radar from China in 2004? 2)Pakistan also purchased 4-6 battries of FT-2000 in 2006? After negotiation for Thaad & PAC-3 failed with USA. 3)Did Pakistan purchased advanced kalchuga (or tech) Radar/Stealth Detection Systems from Ukraine? 4) Any info about possible Joint venture with Turkey on varies military projects? boat, tank, APC? AAM? 1) Can anyone confirm purchase of FT-2000, HQ-9, KS-1A Long-Range SAMs or any of these SAM system from China? According to some people Pakistan purchase unidetified number or KS-1A with techonlogy and phase array radar from China in 2004? 2)Pakistan also purchased 4-6 battries of FT-2000 in 2006 after purchased After negociation for Thaad & PAC-3 failed with USA. 3) Did Pakistan purchased advanced kalchuga (or tech) Radar/Stealth Detection Systems from Ukraine? Air defence networks are the role of the air force bro. 1.No we have not purchased the FT-2000 and there are no plans to do so as we are looking for a European system and a higher end Chinese system as stated by a recent article. As to the purchase of KS-1A missiles that has not happened either. 2.No that has not happened and the PAC-3 has been pitched to us by the US and still continues to do so, it had its own stand at IDEAS 2006. The Pakistani SAM contract is lucrative to say the least. 3.Yes Pakistan has purchased/leased very advanced radars with the emphasis on the Czech “VERA” system. As for the others such purchased are highly classified and little is known of them. But the Ukraine is a great defence partner of Pakistan so such systems are not a problem for us to obtain. man! i hope your successful in getting that video off them. can't wait to see it. i have that footage recorder on the hard drive on my dvd i will try to put it online soon. Did you see it as well? Nice one bro....Get it out ASAP, to think I was going to go to such lengths. There are many competitions for the best tank in NATO. They go through a bunch of exercises and which ever tank gets the best score wins. Is it possible that Pakistan can get into this thing or maybe have an exercise with some of the Gulf States in order to see how the al-Khalid compares to other MBTs? 1. can we not upgrade the 130mm Artillary with modern equipment like India ? 3. I have see in the Pak TV and on other picture that, the Iraki Forces have upgrade their Pick up Transporter with amrour plattes. Also the Pakistan Army use the Pick ups for Transporter Role or APC. Can we also upgrade it? or have we do it? - it is useful to put 12,7 mm Anti aircrafts on High Buildings and on all Houses...is that effective against Aircrafts? 6. How effective Pakistan Police can be in the war..they have the same equipment like the Army I mena only the Gun..but they are not educated..and are not useful in heir rules as Police..) you can see that in Pakistan on every Place) whta they can do then in the War? Please Brothers answer my Question! well mein freund, experience tells that 12.7mm AAA (Flugabwehrkannone) are not effective against modern jet aircraft releasing their payload from too far on to their target, well outside the range of these weapons. Take the battle of Loganewala as an example, most 22 Cav and some 38 Cav tanks were hit by indian hunters who rocketed and strafed them, Those tanks- T-59s and Shermans- had 12.7 mm guns installed on them, but they were useless against those aircraft as the weapon release point of those aircraft was far greater than the effective range of these AAA. As Brig Z. A. Khan puts in his book, 22 Cav suffered dire consequences due to this file and forgetting! ( It was known beforehand, during the 22 Cav conversion to T-59s before the war, tht these guns would be useless. These results were important, but the writer says tht they were all filed and forgotten! dude its a pick up. Even an ok quality armor car wont take the rpg7. and a normal car cant take ak-47 or nade. a real ak47 will go through the body like butter. after seeing what rpg has done to markava, i think rpg7 will kill the pick up. not effective at all. not trained enough and on average the average gangster has a better weapon than average policeman. "well mein freund, experience tells that 12.7mm AAA (Flugabwehrkannone) are not effective against modern jet aircraft releasing their payload from too far on to their target, well outside the range of these weapons. Take the battle of Loganewala as an example, most 22 Cav and some 38 Cav tanks were hit by indian hunters who rocketed and strafed them, Those tanks- T-59s and Shermans- had 12.7 mm guns installed on them, but they were useless against those aircraft as the weapon release point of those aircraft was far greater than the effective range of these AAA. As Brig Z. A. Khan puts in his book, 22 Cav suffered dire consequences due to this file and forgetting! ( It was known beforehand, during the 22 Cav conversion to T-59s before the war, tht these guns would be useless. These results were important, but the writer says tht they were all filed and forgotten! " yes you are right.....that we do not again this mistake we must put Anza SAm missile on Alkhalid on right side and on on the left side!!!!!!!!!!!!!!!!!!!!!... or we build a anti air craft vehicle with the alkhlid tank ...you know what I mean. mein freund, referring to armor plates on a jeep, this would increase the weight which would then itself demand a powerful engine, in effect a bigger vehicle.... this would like moving to APCs......Now AAA on a tank chassis, yes i am very much in favour of such an idea, we can develop quad-stingers or Anza(like hummer) on top of old tank chassis like T-59s or even M-48, if they are available, would give us a mobile AAA capability and swift protection to our armor from enemy aircraft! 1.What is now about the Vera Radar.....we have many discusse about it..have Pakistan buy it or not? 2. Do you think a RPG-7 can destroy the Al -thala APC? 2. Do you think a RPG-7 shoot can destroy the Al -thala APC? hmmmmmmmm hmm ähhyes Brother month ago I have sse in this Forum a list of weapons that Pakistan by or has buy from the USA...where I can find it by PDFTHINtank or what????????????????????????????????????????????????????????????????????????????????????????????????????????????????????????????? mein freund, RPG-7 is a very good weapon, i do believe tht i can penetrate talha APC with ease, if it strikes at or near 90' degrees to the armor plate! I am not sure but i read tht Pakistan has got the VERA radar! have some one picture from this Pak systems I mean Pkistan anti air craft guns? Have some one see this guns in Pakistan?